With daily flights from London to the Caribbean, you can reach the stunning white sandy beaches and crystal-clear waters within 9 hours from London to many exotic islands. 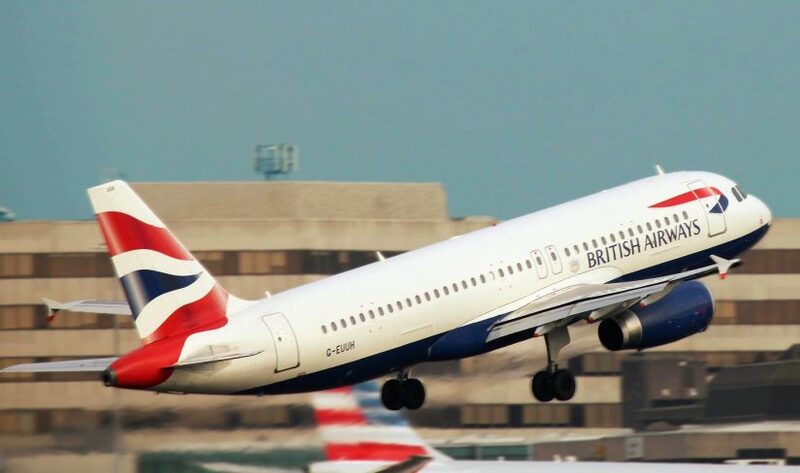 The main airlines flying non-stop from London to the Caribbean are British Airways and Virgin Atlantic, and most of the flights depart from London Gatwick. 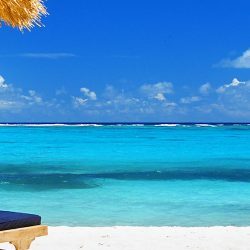 If you want to escape the cool climate of the UK and are looking for a year-round warm sunny climate with a unique and wonderful culture, amazing beaches, the best hotels, resorts and luxury villas, then the Caribbean is the place for you. If you are looking for a non-stop flight, here are the best direct flights from London to the Caribbean. What Islands Can I Fly Direct to the Caribbean from London? Barbados is by far the most popular island for UK visitors and flying from London has never been easier with direct routes from London to Grantley Adams Airport in Barbados that will see you touch down on this tropical paradise island in less than 9 hours. Barbados is known for its stunning beaches, crystal clear waters and for having some of the most incredible hotels, beachfront resorts and villa rentals in the Caribbean. There is never a bad time to visit the island but the best time to visit Barbados is typically from November through to the end of April. The Summer months are when you will find the cheapest flights to Barbados and the villas are also half the price of the peak season, so there really isn’t a bad time to travel here. 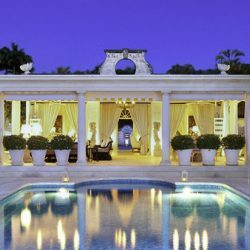 At Exceptional Villas, we feature some of the most luxurious villas in Barbados such as The Dream, a stunning 5 bedroom fully staffed home and Crystal Springs, an incredible 10 bedroom fully staffed estate. Antigua offers direct flights from London and is one of the most popular islands to visit for fun, sun, relaxation and of course the beach! Antigua has 365 beaches, one for every day of the year, so we promise you won’t get bored of seeing the same view and visiting the same beach on your vacation. There are endless beaches to choose from, and our personal favourites are Ffryers Beach and Jolly Beach. Antigua is easy to get around, and we would recommend renting a car, so you can really explore and see what the island has to offer. Antigua has an abundance of water-sports to choose from including fishing, diving, snorkeling and of course a visit to stingray city where you can swim with the stingrays. The best restaurants in Antigua can be found mainly on the West and South Coast of the island with our personal favourites being Sheer Rocks and Carmichaels. A trip to Antigua is not complete until you’ve experienced The Sunday Barbeque Party at Shirley Heights. From 4.00pm, the sweet pulsating rhythms of a live steel band accompany mouth-watering aromas of the barbecue. 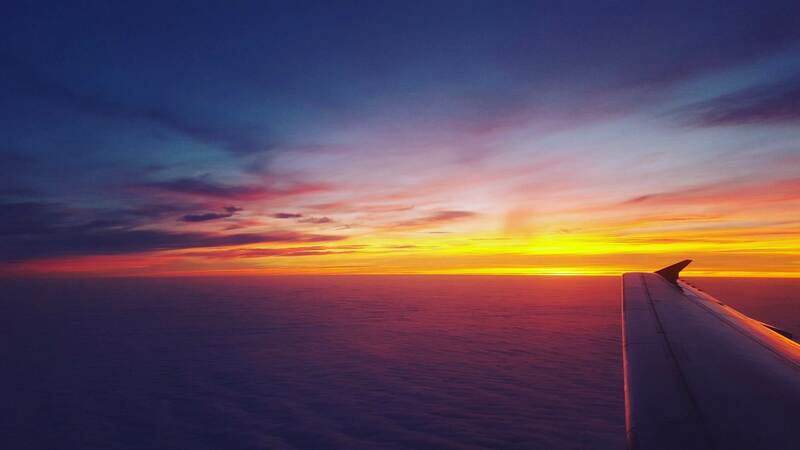 Spectacular sunsets are standard party fare. At 7.00pm the entertainment changes and some of the island’s finest party bands are featured until 10.00pm. The atmosphere and views are amazing. Our concierge team at Exceptional Villas will be delighted to assist with booking these excursions and restaurants for you. St Lucia is the ultimate island to visit for a honeymoon and couples’ vacation. The island is incredibly lush and beautiful offering spectacular views from all vantage points. The people here are so charming, warm and welcoming. 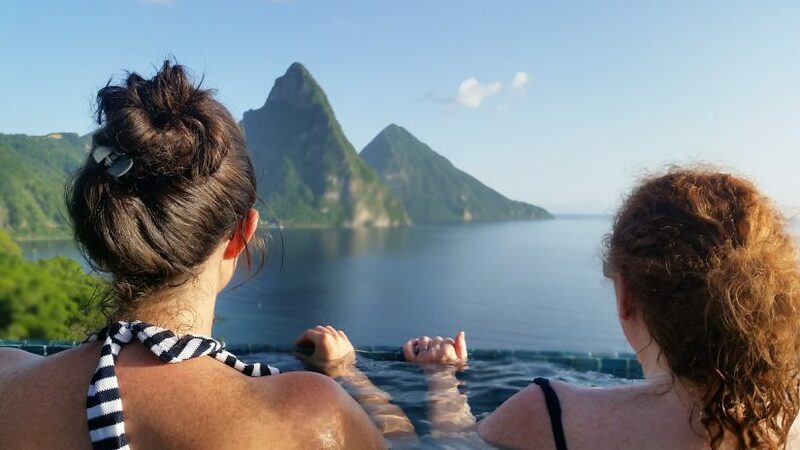 Equally, families love to visit St Lucia which has an abundance of wildlife, nature hikes, volcanoes, beaches and of course the world-famous Pitons which are a must see! The best things to do in St Lucia would include a visit to the National Park on Pigeon Island, hiking the pitons and you absolutely must get on the water and take a catamaran trip. We highly recommend taking a boat trip from Rodney Bay along the coast down to Soufriere to see the Pitons. If you are looking for an authentic Caribbean destination where you can mix with the locals, eat jerk chicken, enjoy the best weather and have an experiential vacation, then it doesn’t get must better than Jamaica. Most visitors to Jamaica from the UK fly into Montego Bay. This is where many of the best properties are located. Virgin Atlantic and TUI fly direct from Gatwick to Montego Bay while British Airways flies direct between London Gatwick (LGW) and Kingston only. If you find that the flights to Kingston are more convenient, you can take the new highway linking Kingston with Montego Bay which takes 2.5 hours’ to drive. Another option is to fly from Kingston to Montego Bay with Inter Caribbean Airways which operates 2 weekly flights taking just 35 minutes. Our concierge can arrange these airport transfer for you and allow you to enjoy a hassle-free arrival into Jamaica. We would highly recommend using the VIP airport fast-track via Club Mobay on arrival and departure into Montego Bay especially during peak season and busy times of the day. This will ensure you are expedited through customs and immigration having a seamless arrival. With each villa in Jamaica being fully staffed and many homes located right on the beach the island is a popular choice for visitors from the UK. The staff in Jamaica are by far some of the best in the Caribbean, and it is one of the main reasons the destination has so many repeat visitors. There are so many things to do in Jamaica, and the people here will make your vacation even more special. Jamaica is also a popular location to get married in. 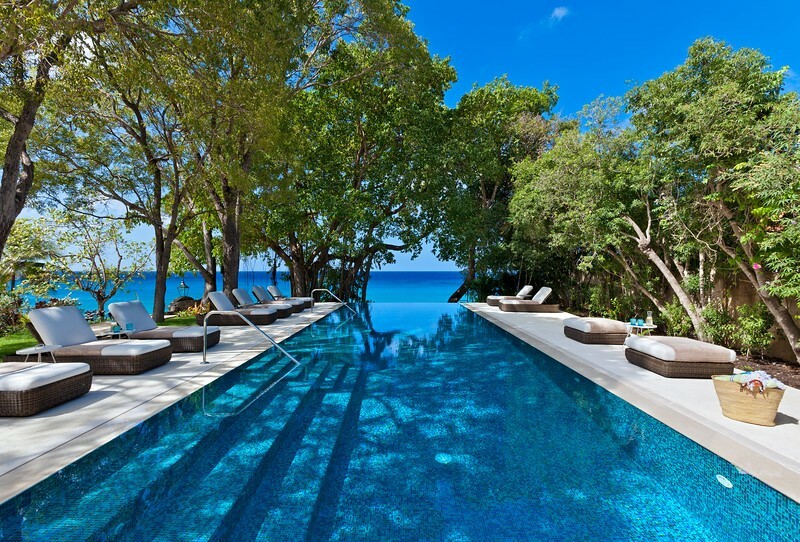 Check out the Top 5 wedding villas in Jamaica. The Dominican Republic has many airports for visitors to fly into, but from London, the best option is to fly to Punta Cana International Airport. There are direct flights on Tuesdays, Wednesdays, Thursdays & Sundays only with British Airways from London Gatwick. Punta Cana is one of the best locations to be and here you will find some of The Best Resorts in the Dominican Republic. The villas in Punta Cana are some of the most luxurious villas in the Caribbean and the best part is that each of the homes has access to resort amenities making it perfect for families. The Dominican Republic is also well known for having some of the best golf courses in the Caribbean. Costa Rica is a must-see destination; there are so many things to do in Costa Rica. Full of wildlife, amazing scenery, stunning beaches, volcanoes and endless rain forests and national parks. Costa Rica really is an experiential destination. TUI fly direct from London Gatwick to Liberia Airport in Costa Rica on Mondays only, and it takes 9 hours 46 minutes. If you are looking to stay in the Papagayo area, Tamarindo or Playa Hermosa then this is the best airport to fly into. TUI flights operate on Mondays only. The alternative is to take British Airways flight from Heathrow to San Jose Airport which takes 11 Hour 5 minutes. This is a great choice for those looking to be near Manuel Antonio, Los Suenos Resort or Santa Teresa then we would recommend flying into San Jose to make it more convenient. The following 3 options offer direct routes, but these are not non-stop flights. For the following 3 destinations, the planes all touch down in another island first before picking up other passenger and continuing to the final destination. The great news is you don’t need to get off the place and board again, you simply relax and stay on the plane before landing at your destination. You can Fly from London Gatwick to Robert L Bradshaw International Airport in St Kitts, in just 9 hours and 50 minutes (including a brief stop in Antigua). 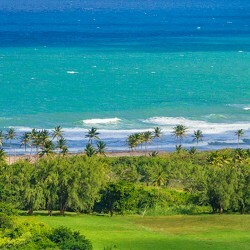 St Kitts is a stunning island with great weather, lovely beaches and some of the nicest resorts including Belle Mont Farm a unique farm to table experiential vacation. 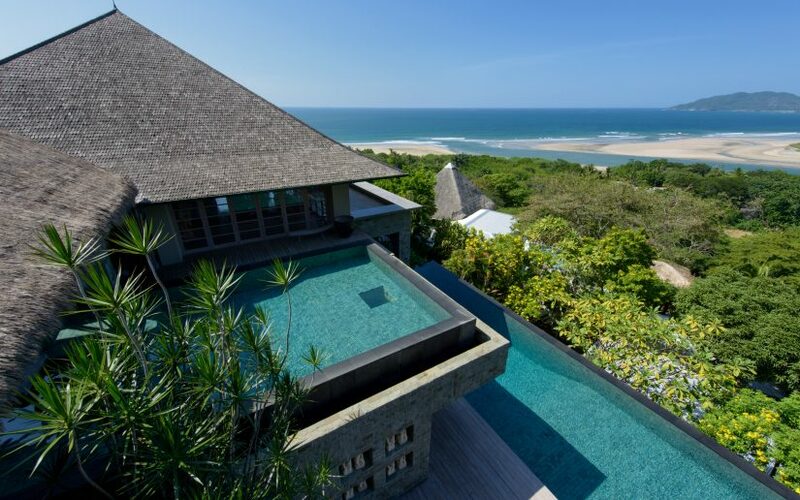 Alternatively, you can enjoy a stay at the brand new Park Hyatt. St Kitts is one of the most beautiful islands in the Caribbean. It has sun-kissed sandy beaches, amazing coral reefs perfect for snorkeling and a lush national rain forest to hike through. St Kitts is unique with its amazing valleys which you can drive through; you can enjoy zip-lining over the rain forest or climb up on a now dormant volcano and then be guided down 1000 feet to its crater floor. St Kitts is steeped in history and its neighbouring sister island Nevis makes for wonderful day trips. If you are looking for a more quaint and local Caribbean island, then we would recommend getting the short boat transfer over to Nevis where you can enjoy a stay at the Four Seasons Resort or Paradise Beach Resort. Nevis is a small island yet has so much to offer visitors. It is the type of place you can go and relax and do virtually nothing, or you can have a jammed packed week of activities such as climbing the Nevis peak or simply relax on the beach and enjoy a stay in your beautiful Nevis Villa. 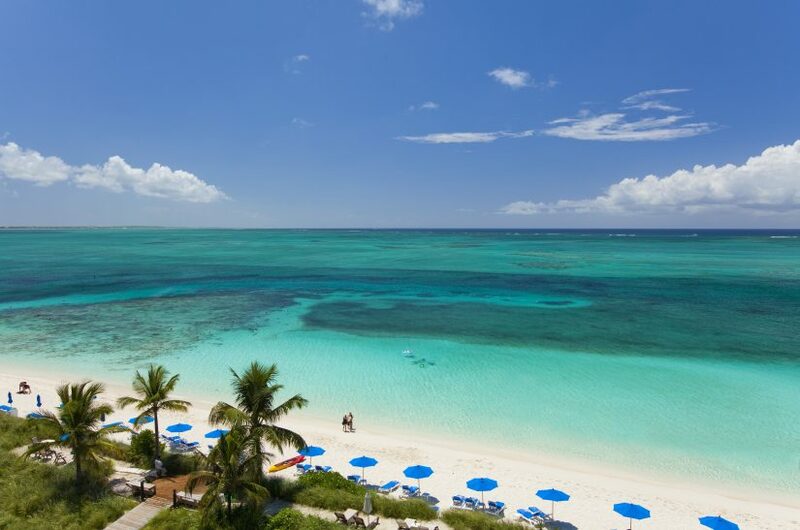 Fly to the Turks and Caicos Islands with British Airways, and you’ll touch down in around 12 hours. There is a brief stopover in Antigua, but it’s just a short hop onwards to Providenciales which is the main island in Turks and Caicos. 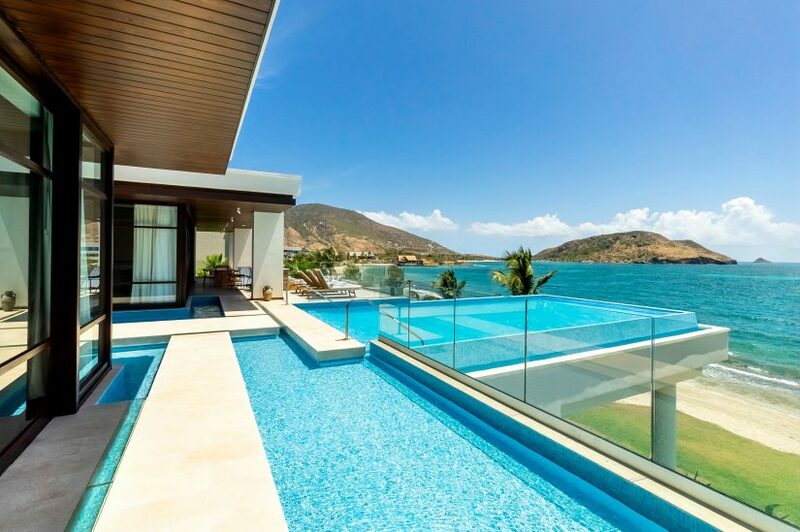 The island is one of the nicest locations in the Caribbean with incredibly beautiful beaches, endless ocean views, crystal clear Caribbean waters and of course the most luxurious villas in the Caribbean. 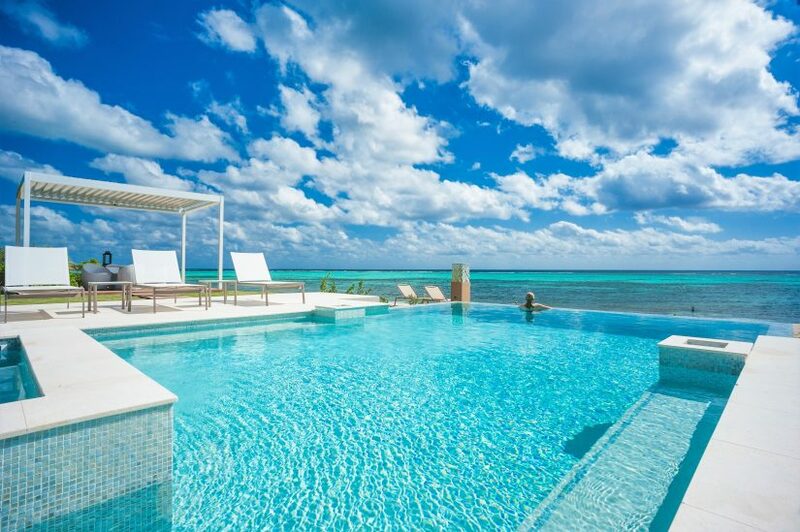 Check out our Essential Turks and Caicos Travel Guide for the best tips and ideas. 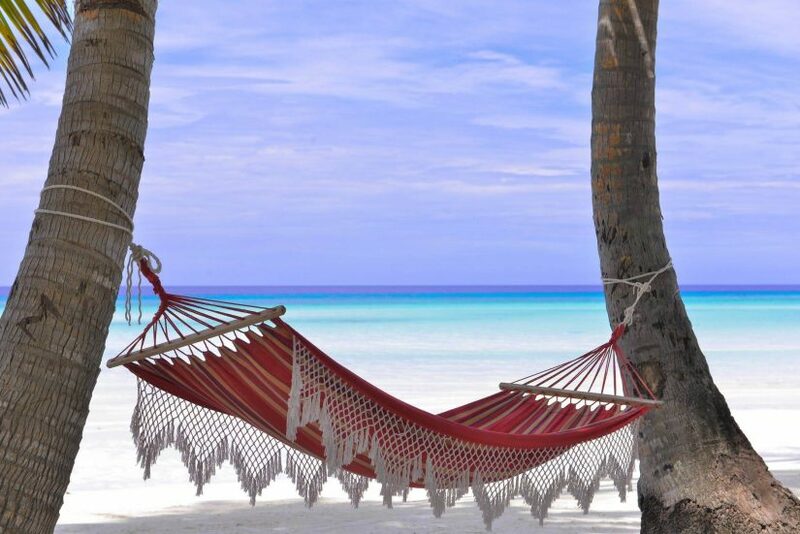 You will find some of the best restaurants in Turks and Caicos as well as the best beachs in the Caribbean – Grace Bay Beach which has been voted one of the top beaches in the Caribbean on many occasions. You can fly to the Cayman Islands with British Airways, and you’ll touch down in just over 12 hours. After a brief stopover in Nassau in the Bahamas, it’s just a short hop to Grand Cayman. Grand Cayman is one of the nicest islands in the Caribbean and is most famously known for its main beach called Seven Mile Beach which is one of the most incredible beaches in the Caribbean. 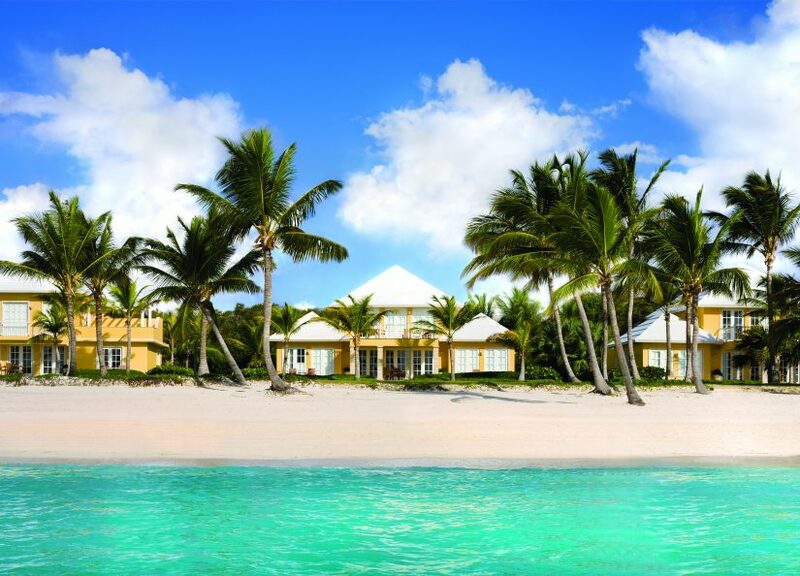 The beach features some stunning luxury villas and resorts such as the Caribbean Club. A trip to Grand Cayman would not be complete without a visit to stingray city where you can take jet skis into the middle of the ocean and jump off and only be knee deep in the water and swim with stingrays – it’s a unique experience and one of the best things to do in Grand Cayman. There are so many other wonderful Caribbean islands that are a must-see, and in every case, they are absolutely worth the additional flight to reach them – after all, they are usually more unique and less crowded destinations than some of the other larger islands. 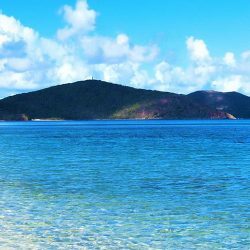 We would recommend taking a direct flight from London to the Caribbean Islands for a 5-night stay and then consider another 5 nights in a different island such as the British Virgin Islands that would just be a tiny plane ride away. 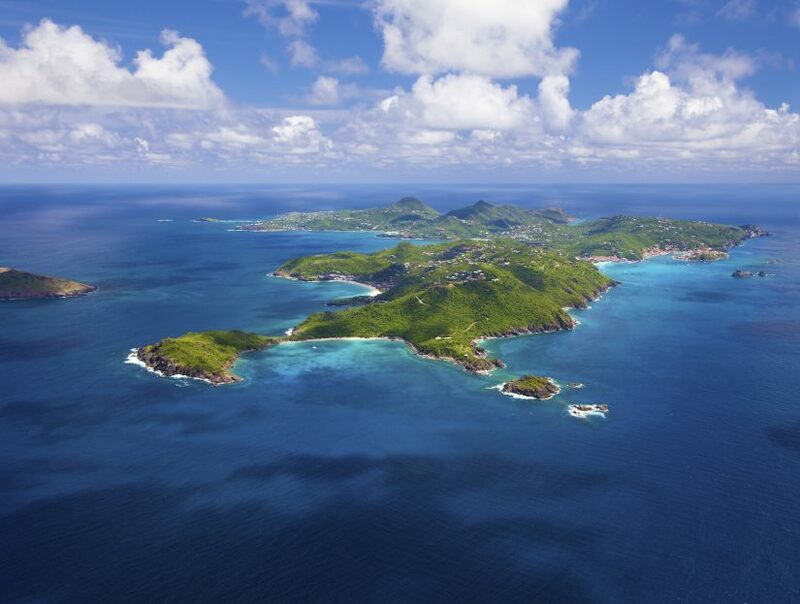 Another great location is the chic French Island of St Barts. If you would like more information on the best destinations in the Caribbean with direct flights from London, please get in touch. We would love to hear from you. We also have the best direct flights from New York to the Caribbean. Hey Linda! You’ve just saved me and many others from booking multiple flights to the Caribbean. I didn’t know they had direct flights to Grand Cayman and the Dominican Republic. You must have put in a lot of effort for this. Thank you so much. Also, I love your blogs and the way you write. Keep writing!